If you’re on the lookout for a fabric upgrade, furniture, home décor and more, Cottons & Satins is the place to visit, with a huge collection of rolled-up fabric in different prints and even a section that has designer print collections. The store is huge – spread out over an area that resembles half a football field, and is full of beautiful décor, furniture, candles, lamps, figurines, and even furniture for kids. Apart from this, you’ll find rolls and rolls of fabrics from ikat to floral, subtle stripes to bold block colours – you’ll find them in all shapes, sizes, and materials like raw silk, velvet, corduroy, cotton, and more. They even house collections by new and famous designers, having recently exhibited Sarah Todd from Masterchef fame. If you ever wondered what furniture for kids looked like, then this is your place. Tiny sofas that would fit half an adult are adorably placed on display, giving you the feeling that the store has considered the entire family as a whole while setting up the establishment. 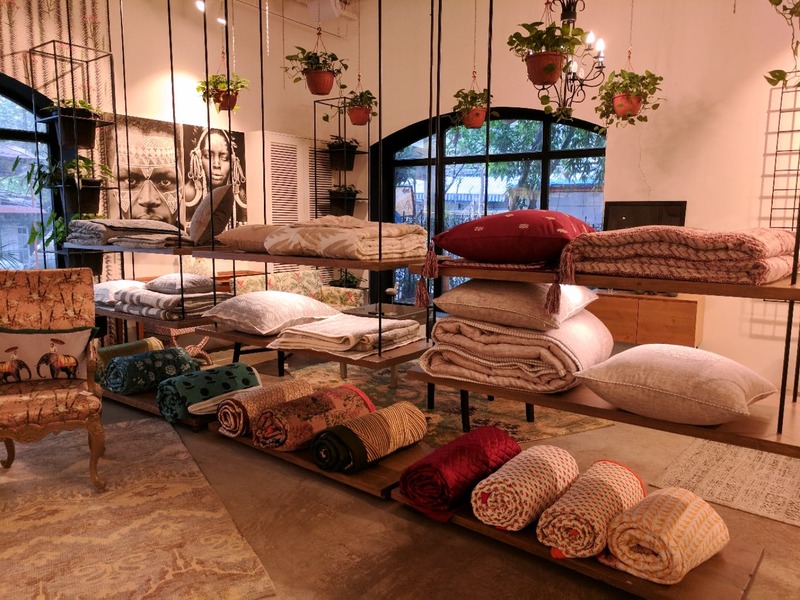 In addition, you have fabrics that start at INR 785, candles starting at INR 100, rugs and carpets in silk, cotton and wool starting at INR 12,000, pouffes for INR 6,000 as well as high-end furniture that go up to lakhs, showcasing the eclectic variety and the fact that it has something for everyone. They also have a great range of figurines to deck up your walls and table space between the range of IR 2,000 to INR 6,000. Their lamps start at INR 3,000 and they even have totes and purses from INR 700. They can also custom-make furniture for you, along with the fabrics you like. Family, Bae, and Big Group.